We help you achieve this by designing simple and intuitive tools for your agents that provide a smoother, more pleasant passenger journey. We help you introduce these tools quickly and cost effectively, so implementation is smooth and your return on investment rapid. Put simply, we use technology others don’t have to solve problems others can’t solve. 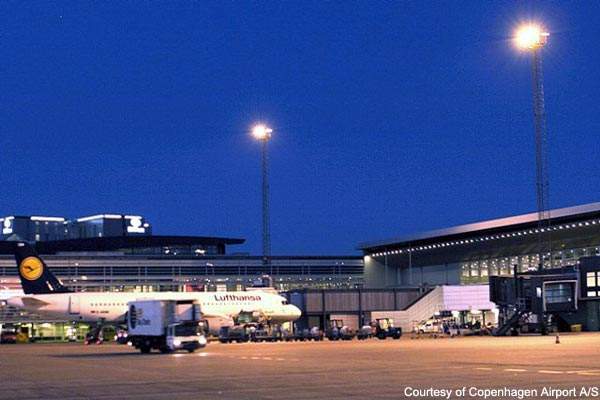 So if you think the departure process could be more efficient, if you think the passenger experience should be more pleasant, and if you want to challenge the status quo, we’d love to hear from you. Passengers hate queuing. Yet queues are exactly what people expect at airports. Mobile passenger services for check-in, bag drop and boarding gates give your agents the freedom to serve customers wherever they are. With everything they need in the palm of their hand, agents can walk along queues processing passengers faster. 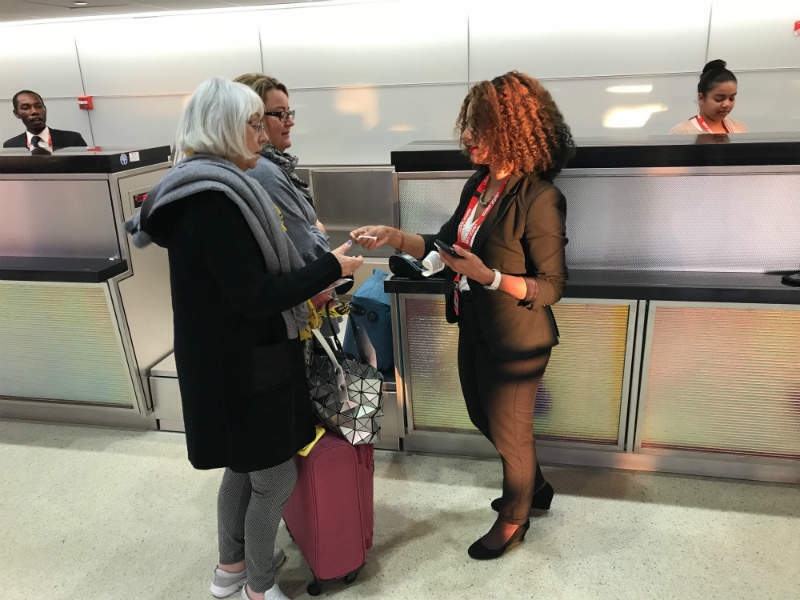 Ink products are designed to greatly reduce (and even eliminate) waiting times; equipping your agents with the tools they need to deliver a memorable passenger experience. All of these cost reductions, coupled with our highly competitive pricing, meaning you can achieve a rapid return on investment. We know change can be daunting. That’s why we’ve made it easy for you to improve processes and adopt new technology. Our proven implementation process means a hassle-free integration. Typically, it takes just three to four weeks of development to integrate with your CRS or other systems. Our technical engineers will work with any bespoke or industry protocol, interface, API or SDK. And what’s more, we do not charge you for integration. Reliability of infrastructure is critical and we take the responsibility very seriously. Our clients enjoy the peace of mind that comes with 99.99% server uptime. And in the unlikely event, you experience an issue, you have access to 24/7 expert technical support. The case for mobile technology is compelling, and a transition to mobile systems is inevitable, with the cost savings indisputable. Your agents do not need desks to offer excellent service; in fact, they’re better off without them. 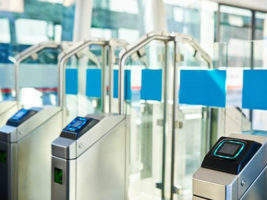 Smart devices, such as iPads, iPods and iPhones or mobile 2D barcode readers, are perfectly suited to delivering passenger services. Ink Touch is the world’s most advanced mobile passenger services app; designed to make life easier for your agents and your passengers. It is a collection of secure modules that work on Apple iOS devices. 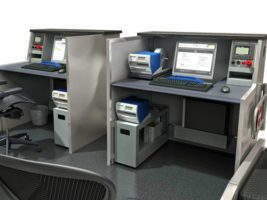 Only Ink provides you with a rich software suite that replaces CUTE, CUPPS, desktop-based departure control systems (DCS), bag drop and boarding. Our mobile hardware prints boarding passes, baggage tags, scans barcodes, reads ID and takes credit card payments. Interested in finding out more? Please get in touch today. Passengers hate queuing, especially to drop off bags. 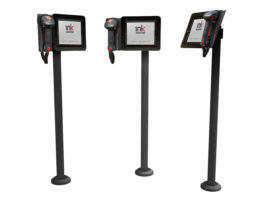 Ink self-service bag drop significantly reduces waiting times and allows passengers to drop bags in seconds. There is no shortage of self-service bag drop and check-in suppliers. Ink commodities and democratises self-service, making it accessible to many users. 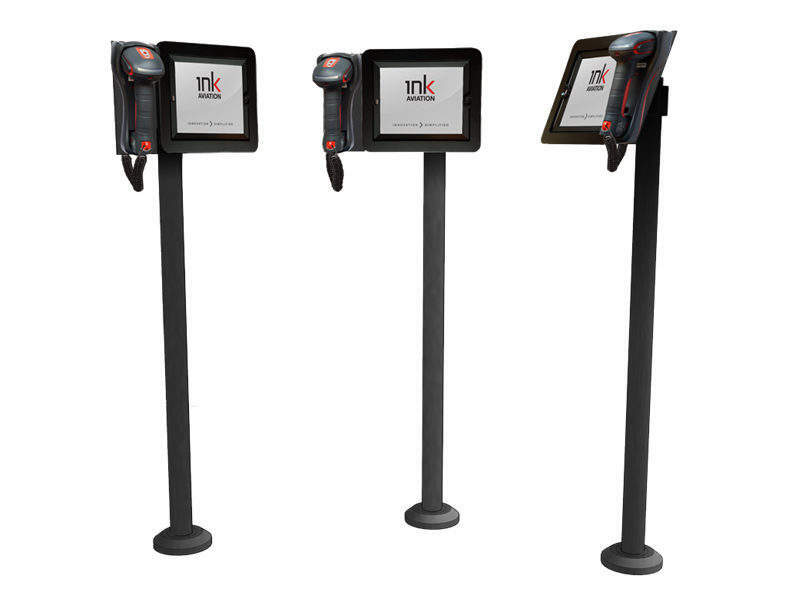 Ink Touch provides powerful modules for check-in, bag drop and turnaround management amongst other useful functions. A commercial from Ink Aviation. Ink Touch has been designed to make life better for your agents, your passengers and your bottom line.